Tavistock Station ~ Tavistock, Devon. Tavistock is an old market town which lies on the river Tavy in Devon and has a history which can be traced back to at least A.D. 961 when the Tavistock Abbey of St. Mary and St. Rumon was founded there. Tavistock’s most famous son is of course Sir Francis Drake. 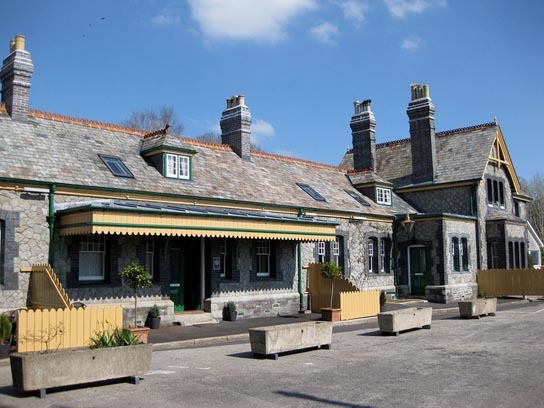 Tavistock (North) Railway Station opened in 1890 as part of the Plymouth Devonport & South Western Junction Railway. 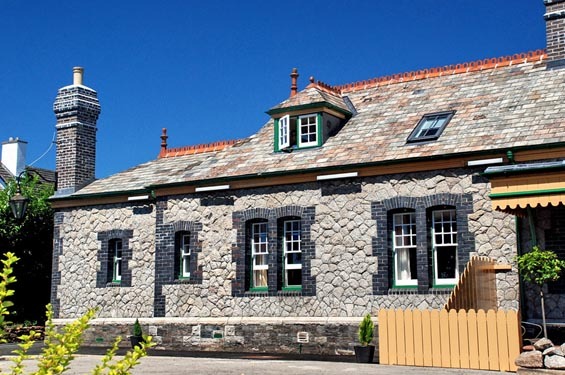 Work began on the line in 1887 to create a route from Plymouth to London at a cost of just under £800,000 which in today’s money equates to over £100 million. 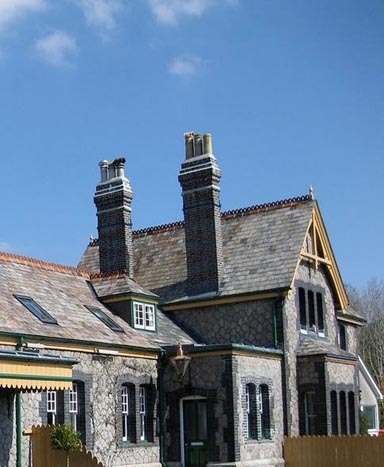 Following the ‘Beeching Report’ Tavistock Station closed its doors in 1968, the Station Master and wife remained living in the Station Master’s House, and they changed its name to ‘Beeching’s Folly’. 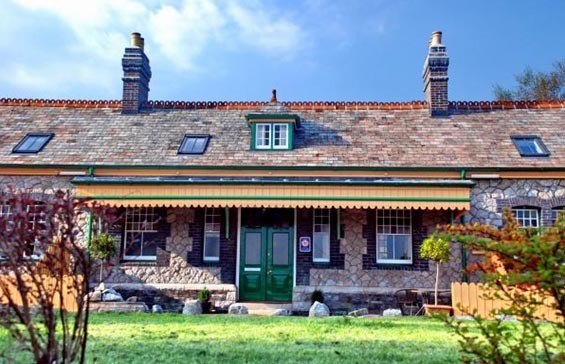 In 1999 the Station and Station Master’s House was sold to new owners and during the process English Heritage gave the buildings a Grade II listing. 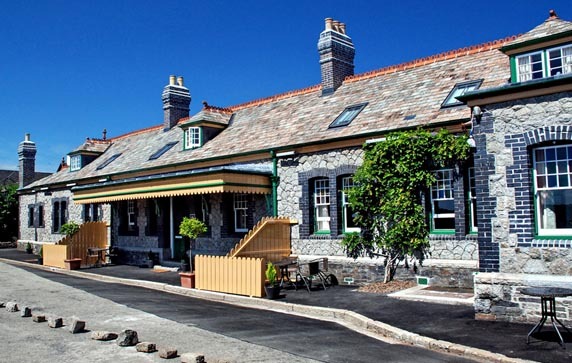 In 2007 the Station was sold again and converted into high quality bed and breakfast accomodation. By this time all of the chimneys that served the buildings had fallen into disrepair. 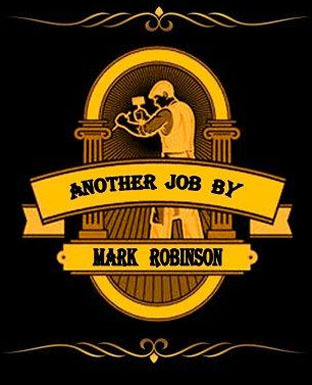 We were asked to take a look at them and rectify any problems. 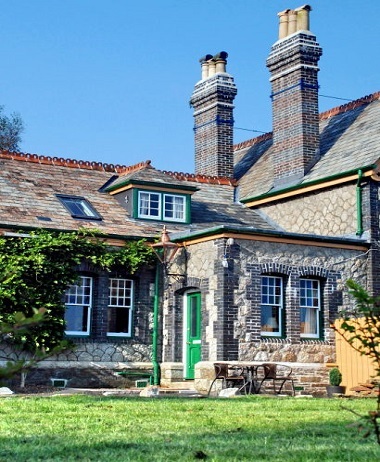 The Victorian chimneys were built from Staffordshire blue engineering brick. The work involved either complete or partial rebuilding of the chimney stacks using the existing bricks which were cleaned up and re-used. Brickwork that was structurally sound was repointed. Reclaimed chimney pots were sourced and used to finish off the tops. Also a doorway was changed back to an original two arched window opening.